There are a variety of different database formats in a UNIX environment available to the Perl programmer. Learn about Perl's ability to use sockets, a mechanism of interprocess communication and the basis for most Internet clients and servers. 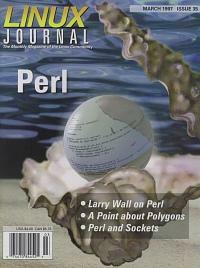 The discourse on the art of Perl programming, originally printed in The Perl Journal .